The Principality of Liechtenstein (German: Fürstentum Liechtenstein) is a tiny, alpine, German-speaking country landlocked by Switzerland and Austria. The principality enjoys a very high standard of living and is home to some incredibly beautiful mountain scenery. The principality's capital, Vaduz, is a major centre of commerce and international banking. It has never been declared a city and thus is technically still a village. What is now the Principality of Liechtenstein was for a long time the minor holdings of a powerful noble family from elsewhere. It was part of the Holy Roman Empire and later became part of the German Confederation. In 1866 Liechtenstein changed its alignment from the now dissolved German Confederation to Austria Hungary until the end of World War I, when the economic devastation and the breakdown of the dual monarchy caused by that conflict forced Liechtenstein to conclude a customs and monetary union with Switzerland. Since World War II (in which Liechtenstein remained neutral), the country's reputation as a "tax haven" has spurred outstanding economic growth. Outside of banking, Liechtenstein's main economic activities are the production of false teeth and tourism. The Liechtensteinian flag is - by pure accident of history - identical to that of Haiti except for the emblems placed on both. During the 1936 Olympics, which were apparently the first time the two flags were displayed close to each other, this was discovered as Haitian civil flags at the time omitted the coat of arms and Liechtenstein added the crown as a symbol of its monarchy and to distinguish it from the civil flag of Haiti, should the two ever be displayed alongside each other. Shortcomings in banking regulatory oversight have resulted in concerns about the use of the financial institutions for money laundering and tax evasion. However, the days of bringing suitcases of money into banks for deposit (without questions asked) are over. Liechtensteiners are also very proud of the fact that their nation has never been involved in a battle or military confrontation with an enemy state. They see their flag as a banner of peace. For a European country, the aristocratic element in the constitution is rather strong and the prince/regent has a lot of powers both in theory and in reality (unlike say the British monarch). However, unlike almost all monarchies in the world there is a provision in the constitution that the prince has to resign and the monarchy has to be abandoned if a majority of the people so desire. Despite its small size and limited natural resources, Liechtenstein has developed into a prosperous, highly industrialized, free-enterprise economy with a vital financial service sector and living standards on a par with the urban areas of its large European neighbours. The Liechtenstein economy is widely diversified with a large number of small businesses. Low business taxes--the maximum tax rate is 20%--and easy incorporation rules have induced a large number of holding or so-called letter box companies to establish nominal offices in Liechtenstein, providing 30% of state revenues. Perhaps the most notable company from Liechtenstein is Hilti, not a bank, but a manufacturer of power tools (though they aren't made in Liechtenstein any longer). Liechtenstein is the world's leading producer of false teeth. Liechtenstein participates in a customs union with Switzerland and uses Swiss francs as its national currency interchangeably with the Liechtenstein frank. It imports more than 90% of its energy requirements. Liechtenstein has been, since May 1995, a member of the European Economic Area, an organization serving as a bridge between the EFTA and the EU. The government is working to harmonize its economic policies with those of an integrated Europe. Liechtenstein has one of the highest personal income rates (GDP per capita) in the world, with the base rate of income tax standing at just 1.2%. Liechtenstein is very mountainous, and is together with Uzbekistan, doubly landlocked; one of the only two countries to be landlocked by landlocked countries. Most of the country's population lives in the long and wide Rhine Valley in the western third. Roads are mainly laid out in a north-south pattern following the valley as well. To the north the main roads lead to the border with Austria, to the south they enter Switzerland, and to the west across the river the bridges also cross into Switzerland. 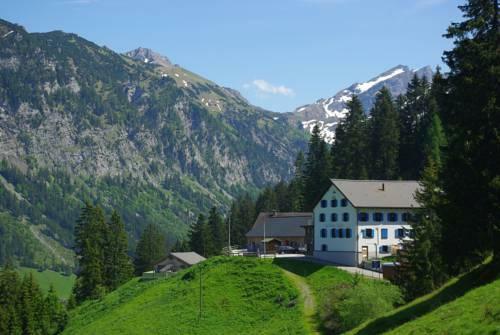 Most of the eastern border with Austria is not passable and is only accessible by foot as it is very mountainous, though the north of the country is well connected by road to Feldkirch in Austria. The country's highest point is the Grauspitz, which stretches to 2,599 m. Liechtenstein is 2.5 times bigger than San Marino and 81 times bigger than Monaco. Liechtenstein has a continental climate featuring cold, cloudy winters with frequent snow or rain, making the country a moderately popular ski destination. Summers are cool to moderately warm, also often cloudy and humid. The national language is German, but the main language in everyday use is an Alemannic German dialect, that can be hard to understand even for native speakers of standard German. The Alemannic dialect group is also spoken in German-speaking Eastern Switzerland, the German state Baden-Württemberg and the Austrian state of Vorarlberg. While the dialect is on the retreat in Germany and to some extent even in Austria, it is alive and well in Switzerland and Liechtenstein with some even fearing a local extinction of standard German due to lack of situations in which it is actually spoken. Almost everyone can speak standard German and English is also prevalent. French and Latin are also widely taught in the secondary public school system. Some shops have personnel who can address Asian tourists in their respective languages. Liechtenstein is not a member of the EU. Therefore, travellers entering Liechtenstein from Austria (and vice versa) are subject to non-systematic customs controls. There have been no immigration controls since Liechtenstein joined the Schengen Area on 19 December 2011. Liechtenstein maintains a complete customs union with Switzerland and is represented by Switzerland in embassies internationally. Since 1923 there have been no border formalities needed for crossing between the two countries. In essence there is nothing more than a sign announcing your arrival in Switzerland or Liechtenstein (when you cross the Rhine or the land border), similar to the situation at smaller border crossings in many EU nations (e.g., Austria, Germany, France, Italy). Liechtenstein has no airports. You can take a flight to Zürich Airport ZRH IATA (115 km from Liechtenstein). Although this is the only major airport near Liechtenstein, there are some limited services from Vienna to St. Gallen-Altenrhein Airport (53 km) by Austrian Arrows. There is also a private airport in Bad Ragaz, very close to the border. Another popular point of entry is through Friedrichshafen in Germany, which is served by low-cost airlines. Liechtenstein has a heliport in the Southern Lowlands. This heliport has no passport control so helicopters are only allowed to go inside the Schengen Area. There is a heliport near the border at Feldkirch, Austria where passport control can be organised. ÖBB, the Austrian federal railway company, runs a limited service from Buchs SG station in Switzerland, via Schaan-Vaduz station (near Schaan) to Feldkirch in Austria. Trains only run a few times a day, which makes buses generally more convenient. There is a long-standing plan for a "FLACH S-Bahn" (for "Fürstentum Liechtenstein Austria Confoederatio Helvetica or Liechtenstein, Austria, Switzerland) to better connect Liechtenstein's major urban centers to the neighboring railway networks, but as of the mid 2010s more talk than action has come of it. Buses run every 15 minutes from the train station at Buchs (the main Swiss town on the Liechtenstein border) to Schaan and Vaduz. Tickets can be purchased on the bus for Fr. 3.40 and it only takes about 10 minutes to Schaan and another 5 to Vaduz. Vaduz is the only European capital in a country that otherwise has a rail network not connected to any rail line and there are (as of 2017) no plans to change that. If coming by rail from Switzerland, it may be quicker and cheaper to take the train as far as Sargans, from where it's possible to catch a bus (see below) straight to Vaduz. Consult the SBB timetable to find out what'll be quickest when you're travelling. There are lockers at the Sargans station so you can leave your luggage there. The Liechtenstein Buses Route 12 runs from Sargans railway station to Buchs railway station via central Vaduz and Schaan railway station. It leaves from outside each station approximately every 20 minutes. The buses are yellow-green in colour. A fare to Vaduz is Fr. 5.80 from Sargens and Fr. 3.40 from Buchs. There are student prices as well (be sure to show your student ID). Consider getting a whole network day pass (Fr. 12) or week pass (Fr. 24) if you are making many journeys, though two single fares (e.g., from Sargans or Buchs to Vaduz and Vaduz onward to Feldkirch) cost less than a day pass. Liechtenstein itself has no highways. But the Swiss Autobahn A13/E34 runs along the Swiss side of the Rhine River, the border between Switzerland and Liechtenstein. There are several access points that cross the Rhine into Liechtenstein, the two that are most commonly used are the bridge crossing into the southern town of Balzers and the crossing into Vaduz. If you aren't coming from the west or have a Swiss vignette already, it may make sense to avoid Swiss highways as there is only a year vignette. The alternative is to reach Liechtenstein via Austria. Coming from Germany, you most likely will also buy a vignette which is available in a 10 day variety that is much cheaper than the Swiss year version. You enter Liechtenstein directly from the north, via the Austrian city of Feldkirch which is a touristic attraction too. Driving in Liechtenstein is relatively safe, but extra care should be taken on narrow and winding mountain roads. Speed traps are everywhere! And for good reason, as those roads are not made for high speeds. Vaduz has several parking garages and places. As the city is not very large you can hardly make a poor choice. The prices don't differ that much. Very easy indeed from Feldkirch in Austria. In rush hour, lots of commuters head into the capital. A simple sign as you stand by the main road in Feldkirch should get you a lift within minutes. For a rural area of its size and wealth, Liechtenstein's bus system is decent and well patronized. The country's sole bus operator is Liemobil. Fares are reasonable, a 7-day unlimited use card costs Fr. 24. Another cheap way to travel, weather permitting, is by bike. The roads in Liechtenstein are in excellent condition and many (in the Balzers-Schaan corridor) even offer bike lanes. Biking through the whole country (entering from Austria going all the way south through to Switzerland) takes only a few hours, but is worth every minute of the wonderful alpine scenery! Liechtenstein boasts a number of attractions that are of interest to visitors. Balzers - Home to a beautiful church and a spectacular Gothic castle. Vaduz - The capital is the main shopping area in the country, with many souvenir stores and assorted restaurants. The city is also home to a modest cathedral and the decade-old Liechtenstein Kunstmuseum. A ski museum is north of downtown. 1 Schloss Vaduz - This imposing and historic castle, home to the royal family, overlooks the city of Vaduz and is approachable on the main Vaduz-Triesenberg road (bus route 21). It is not open to the public, but it is possible to view it from quite close up. It is entirely possible to encounter the royal family at the Kunstmuseum, coming in and out of Schloss Vaduz or skiing during winter time. This is one benefit of such a small country. They are recognizable in their cars, which use their birth year for their licence plate number. Liechtenstein offers great hiking, road biking, and mountain biking terrain. Skiing and snowboarding are also offered at a reasonable price at the country's small resort, Malbun, in comparison to the expensive lift prices in neighbouring Switzerland or Austria. Liechtenstein is popular among philatelists and has even a postal museum. You can also get an entry stamp of Liechtenstein in your passport at the tourist centre and some souvenir shops (Fr. 3 or €3). Liechtenstein officialy uses the Liechtenstein franc at par with, and freely interchangeable with the Swiss franc (CHF) as its currency. However, Liechtenstein franc coins are very rare and banknotes have never been printed, so in practise, Swiss francs are always used. Many shops will also accept euros, but the exchange rate may not be very advantageous. You get your change in francs. For a short visit you might not need francs at all, even the parking garage accepts euros. Costs in Liechtenstein are roughly equivalent to those in Switzerland and are therefore somewhat more expensive than other European countries. 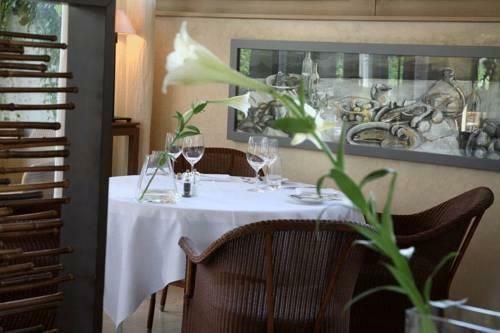 You will find a few restaurants in the larger cities of Liechtenstein. There is also a McDonald's restaurant (opened in 1996; serves wine), which is very popular and is widely publicised by road signs throughout the country. The many small bakeries are a great place to get a warm, fresh roll or pastry. There is a small amount of wine that is produced in Liechtenstein that is available in supermarkets and tourist shops throughout the country. Expect to pay around Fr. 25 for an average bottle. The Prince owns his own vineyard in Vaduz, off the main road. Beer is also available for purchase that is made with malt from Liechtenstein, although most of the beer is brewed in Switzerland. A variety of other European wines, beers, and soft drinks are also available. There is now a brewery in Liechtenstein that produces a variety of beers; lagers including Helles (blonde) and Hefe Weizen (unfiltered wheat) styles are brewed. There is also a one-man distillery in Triesen which makes liquors and schnapps from fruits. Tours on Saturdays. 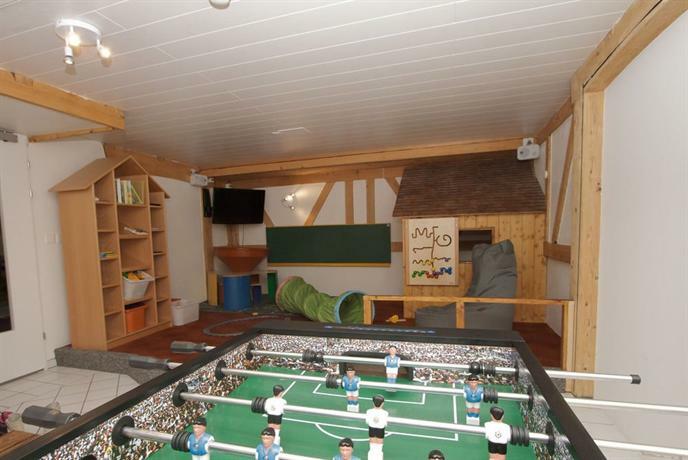 There are a few hotels in Liechtenstein, but they tend to run on the expensive side. There is one youth hostel  located in Schaan, but it closes for the winter. 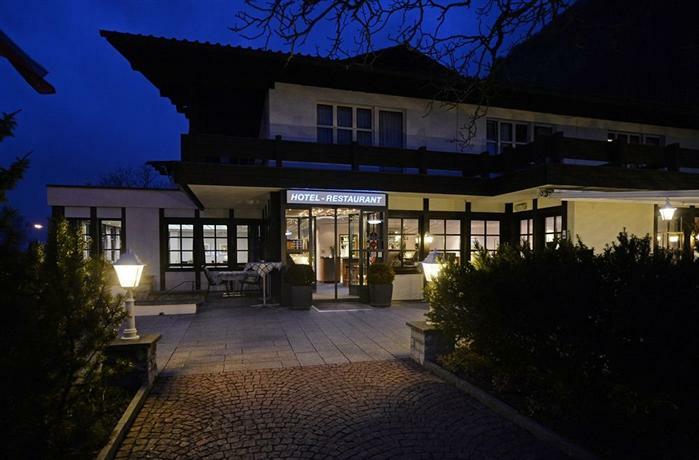 You will probably be able to find cheaper accommodation in neighboring Feldkirch, Austria. Camping Mittagspitz is the only full-service campsite in the Principality. 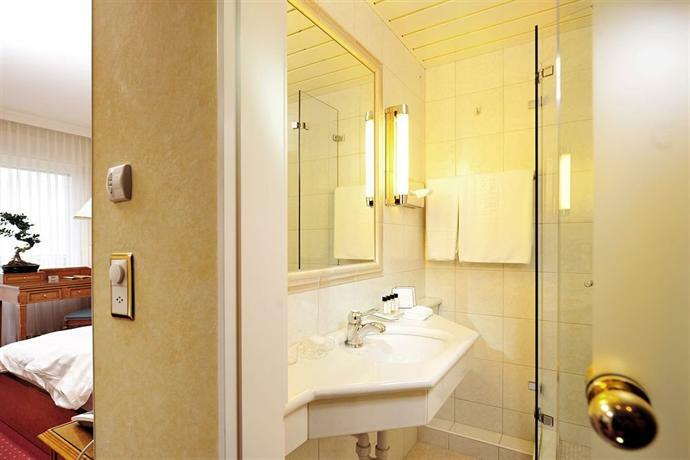 It offers excellent facilities, a friendly reception and a fabulous reasonably priced restaurant. There are three other campgrounds in Liechtenstein: one in Bendern, one in Vaduz, and one in Triesen. All are pretty much full year round. 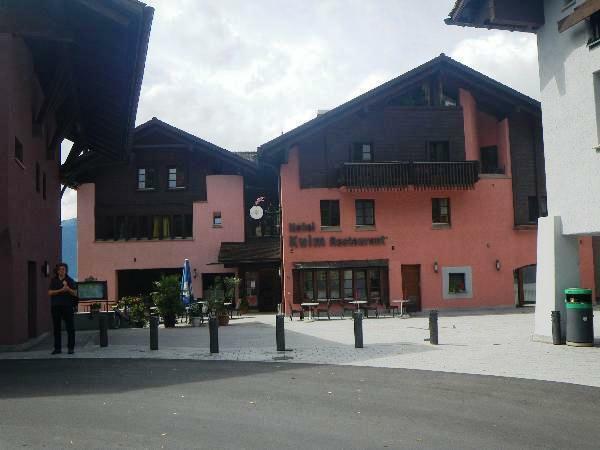 Gasthaus Krone, Dorf 36, 9488 Schellenberg (next to post office and bus-station), ? +423 373 1168. Very inexpensive rooms. Family run hotel and restaurant. 15 km away from Vaduz, regular (hourly) bus service to all parts of Liechtenstein. Fr. 60 (dbl). Liechtenstein's university offers courses only in technical sciences. Liechtenstein is easily one of the safest countries in the world, though it is not without its problems. The most common crime in Liechtenstein is of a non-violent nature, though the principality maintains a well-equipped police force which maintains a presence on the streets. In the late 1990s, the Liechtenstein Landespolizei launched a crackdown on prostitution in Vaduz. Considering the largest cities nearby are Innsbruck and Zürich, outside of Schaan and Vaduz, the whole place can seem very rural. Drunk drivers and winter road conditions may be your only "realistic" concern. Speed limits are strictly enforced by speed cameras, which can lead to high fines. Don't speed, enjoy the scenery instead! The country's beautiful scenery is also very dangerous. Cases of hikers finding themselves in difficulty are very common, and extreme care should be taken when leaving the well-marked trails. Follow local advice, read local weather forecasts (newspapers in the principality print individual forecasts for the different cities in Liechtenstein, which is beneficial because the difference in altitude often cause different weather conditions), and ensure that you have the correct equipment before setting out. There are excellent medical facilities in Liechtenstein, but it is more likely that you would be transferred to a hospital in Switzerland should you require medical attention. If you are an Austrian or EU citizen you may want to seek medical attention in next-door Feldkirch, Austria. The Principality of Liechtenstein has existed for centuries as an independent state and this should be remembered. Liechtensteiners are very proud of their national identity and would take offence at being wrongly labelled "German", "Austrian" or "Swiss". The inhabitants are proud of their prince, which should be considered when talking about national politics. Remember that this is a traditional Catholic country. On Sundays, the streets are almost dead except for the tourists and the tourist shops. Internet access is available with one station at Telecom Liechtenstein immediate south of Vaduz's downtown on the main road, but this is only open during business hours. 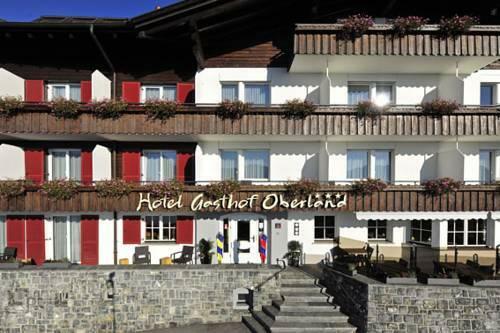 Most hotels and some bars/restaurants will have net access such as in Schaan. The last real Internet cafe disappeared, because everyone in the country has net access in their homes, so the local market completely disappeared and only visitors need access. There is 4G and 3G coverage in pretty much the whole country, you can roam on any of the Swiss networks with no extra charges. EU residents are usually not given free roaming in Switzerland or Liechtenstein, as they are outside the EU. From Liechtenstein, going to the picturesque Austrian city of Feldkirch is a natural choice. The closest larger city of Switzerland is St. Gallen with its monasterial complex. Liechtenstein can be seen as part of the German-Swiss-Austrian Lake Constance with many wonderful destinations. The crime rate is low. Petty crime, such as pickpocketing and purse snatching, occurs, especially during special events and in busy tourist areas. Exercise caution on trains, especially on overnight trips to neighbouring countries. h) obtain detailed information on trekking routes or ski slopes before setting out. Winter driving can be hazardous. Roads are mountainous, winding, and not always plowed. Snow chains are recommended. In the event of an accident, motorists should make an official report to police. The postbus is an inexpensive and reliable way to travel within the country. Buses to Vaduz are available from the Swiss border towns of Buchs and Sargans, and from the Austrian border town of Feldkirch. The train from Zurich to Vienna stops in Feldkirch. Dial 117 to reach police, 144 for ambulance, 118 for firefighters and 140 for roadside assistance. The standard of medical care is high. Health-care costs are considerably more expensive than in Canada, and immediate cash payment is required if you have no medical insurance. Canada and Liechtenstein are signatories to the European Convention on the Transfer of Sentenced Persons. This enables a Canadian imprisoned in Liechtenstein to request a transfer to a Canadian prison to complete a sentence. The transfer requires the agreement of both Canadian and Liechtenstein authorities. You can drive with a Canadian driver's licence in Liechtenstein, but an International Driving Permit is recommended in order to meet the requirements of some car rental agencies. The currency of Lichtenstein is the Swiss franc (CHF). Automated banking machines (ABMs) are known as Bancomat. Avalanches present a risk. The weather in mountainous areas can be unpredictable.